Learning curves are used extensively in business, science, technology, engineering, and industry to predict system performance over time. Although most of the early development and applications were in the area of production engineering, contemporary applications can be found in all areas of applications. Information technology project management, in particular, offers a fertile area for the application of learning curves. 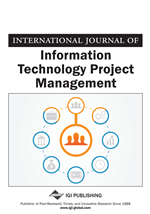 This paper applies the concept of half-life of learning curves to information technology project management. This is useful for predictive measures of information technology system performance. Half-life is the amount of time it takes for a quantity to diminish to half of its original size through natural processes. The approach of half-life computation provides an additional decision tool for researchers and practitioners in information technology management. Derivation of the half-life equations of learning curves can reveal more about the properties of the various curves with respect to the unique life-cycle property of information technology. Learning curve analysis offers a viable approach for evaluating information technology projects where human learning and forgetting are involved. With an effective learning curve evaluation, an assessment can be made of how an information technology project meets organizational objectives and maximizes its benefits to the organization. The half-life theory of learning curves introduced by Badiru and Ijaduola (2009) offers one good technique for an accurate assessment. Although a conventional project is defined as one of a kind endeavor with a definite beginning and a definite end, it does contain some repetitive elements when the project or a similar variation is replicated elsewhere. This makes the application of learning curve analysis relevant for the project environment (Badiru, 1995). With this analogy, learning curve analysis can, indeed, be applied to information technology project management. Figure 1 illustrates a conventional curve of the life cycle of information technology project as a function of resource infusion. In reality there will be dips in the curve due to the effects of learning and forgetting phenomena. It is essential to be able to predict locations of such dips so that an accurate assessment of the overall IT performance can be done when the same IT project is implemented at different locations in an organization. Modern projects have repetitive components that are amenable to learning curves analysis, unlike the traditional era where a project is defined as a unique, one-of-a-kind endeavor. Coupled with volatile nature of information technology are other sources of risk and uncertainty that arise as a result of imperfect knowledge of the technology system under consideration. Uncertainty is directly linked to economic loss; therefore, techniques for understanding it and mitigating its impact would be beneficial. Understanding the half-life properties of the learning curves that govern the technology system would be beneficial in achieving overall success of information technology project management. The typical information technology starts from conceptualization through disposal. The expanded stages of information technology are presented below.